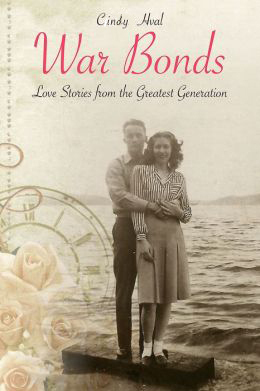 A year after the publication of War Bonds: Love Stories From the Greatest Generation, the book signings and speaking events start to blur together. I’ve met so many wonderful people– many of them WWll veterans, who share their memories of their time of service. But at this week’s event something amazing happened. At every reading I share from Chapter One: Band of Gold. It’s the story of Jerry and Nancy Gleesing. 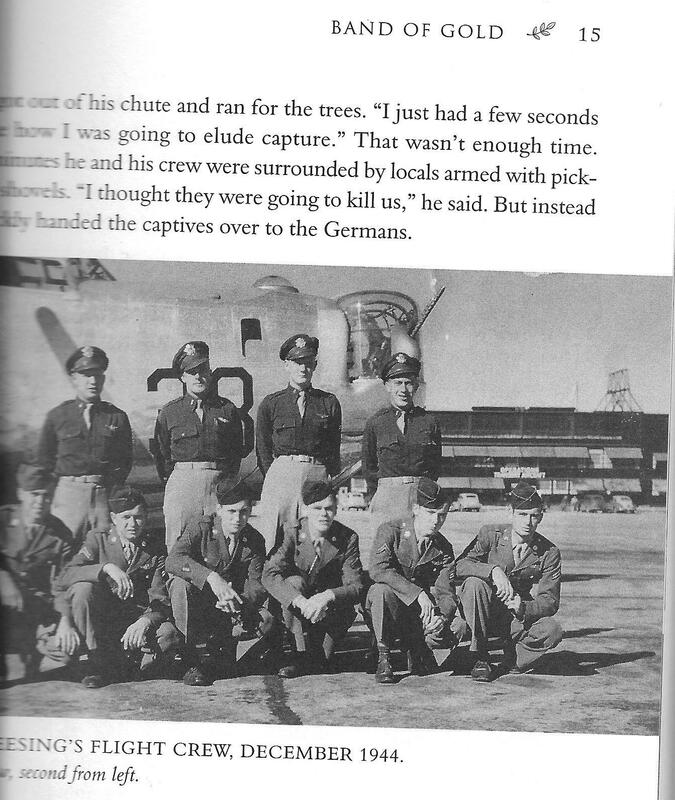 When they were expecting their first child, Jerry, who served with the 15th Air Force, 459th Bomb Group, was shot down and had to bail out over Hungary. He was quickly captured and spent 3 months as a prisoner of war in Mooseburg, Germany. It’s a moving story that often prompts tears– including my own. As I read, I noticed an older gentleman take of his glasses and wipe tears as they streamed down his face. Unbelievable! He looked at the picture below, to see if he could pick out his brother, but his eyesight if failing. He had me sign the book for his 90-year-old brother, who’s still alive and resides in California. I only wish Jerry Gleesing was still here, so I could tell him I found one of his crew.